Producers Commentary: James L. Brooks, Matt Groening, Richard Sakai, Al Jean, Mike Scully, David Silverman, Dan Castellaneta, Yeardley Smith. Audio will be presented in English Dolby Surround 5.1 and English DTS 5.1 ES along with Spanish and French soundtracks in Dolby Surround and subtitles in English and Spanish. 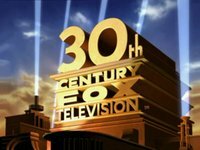 20th Century Fox has finally joined the Xbox Live party and will be releasing their shows via the Xbox Live Marketplace. The first show to be released will be FOX’s canceled, then revived animated show Family Guy. Family Guy will go live on Sunday Sept. 2, 2007. All U.S. Xbox 360 owners will be able to purchase full episodes from seasons one and two, as well as Family Guy Presents Stewie Griffin – The Untold Story. If Family Guy does well, which it most certainly will, we can expect other Fox shows such as The Simpsons, King of the Hill, and Futurama (I’m pretty sure they still own the rights. Correct me if I’m wrong). Kids’ WB! on the CW has released its fall lineup schedule, premiering on Sept. 22, 2007. Eon Kid, Magi-nation, Will & Dewitt and Skunk Fu! will be making their American debut and will be joined by The Batman, Shaggy & Scooby-Doo Get a Clue!, Legion of Super Heroes, Time and Jerry Tales and Johnny Test. 9:30 am: SHAGGY & SCOOBY-DOO GET A CLUE! SOUTH PARK creators Matt Stone and Trey Parker have signed a new deal with Viacom which is worth $75 million. The arrangement will see Stone and Parker overseeing the new SouthParkStudios.com, which will develop new ways to exploit SOUTH PARK characters as well as develop original IPs that could potentially be put on the Comedy Central network. 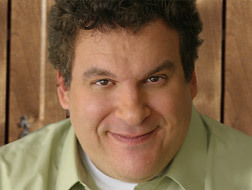 Along with this, the South Park series has been renewed through 2011, which “will give us the opportunity to offend that many more people,” said Stone. Check out this really cool stop motion animation that I found over at MetaCafe. Pixar’s RATATOUILLE will arrive on DVD and Blu-Ray on Nov. 6, and when it does it will feature the all-new animated short, YOUR FRIEND THE RAT, a new adventure starring Remy and Emile. The DVD will also include deleted scenes, a conversation with director Brad Bird and Chef Thomas Keller, and LIFTED (another Pixar short). The Blu-ray version will also include: Gusteau’s Gourmet Game and Cine-Explore which allows viewers to customize their own behind the scenes experience, which includes animation briefings, documentary shorts, deleted shots and deleted scenes. Rabbit Seasoning is a 1951 Merrie Melodies cartoon, directed by Chuck Jones, and starring Bugs Bunny. The short, released to theaters on September 20, 1952, is widely considered among Jones’ best and most important films. In Jerry Beck’s 1994 book The 50 Greatest Cartoons, Rabbit Seasoning is listed at number thirty. Gerald McBoing-Boing is a 1950 animated short film produced by UPA and given wide release by Columbia Pictures on January 25, 1951. The winner of the 1950 Academy Award for Best Animated Short, Gerald McBoing-Boing is the story of a little boy who speaks through sound effects instead of spoken words. It was adapted by Phil Eastman and Bill Scott from a story by Dr. Seuss, and directed by Robert Cannon. The film has been selected for preservation in the United States National Film Registry. 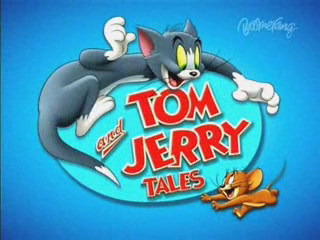 In 1994, it was voted #9 of The 50 Greatest Cartoons of all time by members of the animation field. â€œAlmost all of Pixarâ€™s movies are works of art. Their only concern is the story; they are obsessed with story. With all that money at stake, and going for a mass audience, I think Pixar for the most part makes the only brilliant movies that we have now. When I say brilliant, to me what brilliant isâ€¦ Like I donâ€™t think Curb Your Enthusiasm is brilliant. It borders on greatness, but itâ€™s not brilliant, and hereâ€™s why. Dumb people cannot enjoy Curb Your Enthusiasm for the most part. South Park and Drawn Together are coming back for more episodes on Comedy Central. South Park will return for the second half of the 11th season on Wednesday, October 3 at 10:00PM. The second half of Drawn Together’s 3rd season will premiere on Thursday, October 4 at 10:30PM. Aardman Animations has animted Jamie Oliver, aka the Naked Chef, for their new animated series, LITTLE J. Aimed at 7Â to 11-year olds, LITTLEJ follows the 10-year-old Oliver on his quest to become a great chef. LITTLE J won’t take itself too seriously, featuring characters such as a depressed ham and a mad scientist named Eggs Benedict who wears a chicken on his head. SKUNK FU! picked up by Kids’ WB! SKUNK FU! is heading to its North American home on Kids’ WB! on The CW. This follows successful launches on CBBC in the UK and ABC Australia. 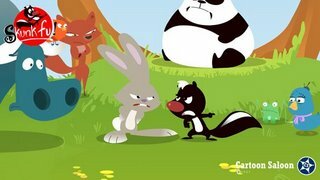 “SKUNK FU! seamlessly blends martial arts action and broad humour with a mesmerizing Flash-anime artistic style that fits perfectly into the Kids’ WB! lineup,” Kids’ WB! Senior Vice President and General Manager Betsy McGowen said. Created by Aidan Harte, the 52×12 comedy-action-adventure animated series for 6- to twelve-year-olds,Â scheduled for full delivery in Fall 2007. 08/20/2007 | Television | Comments Off on SKUNK FU! picked up by Kids’ WB!